Owners and facility managers of commercial properties often don’t realise that they can save money by cleaning and recoating dirty ceiling tiles, rather than replacing them. This is according to Daniel Berman, co-founder of Bright Ceiling, who points out that many companies either tolerate the dirty ceilings, or replace them infrequently, which is expensive, wasteful and involves disruption to the business. 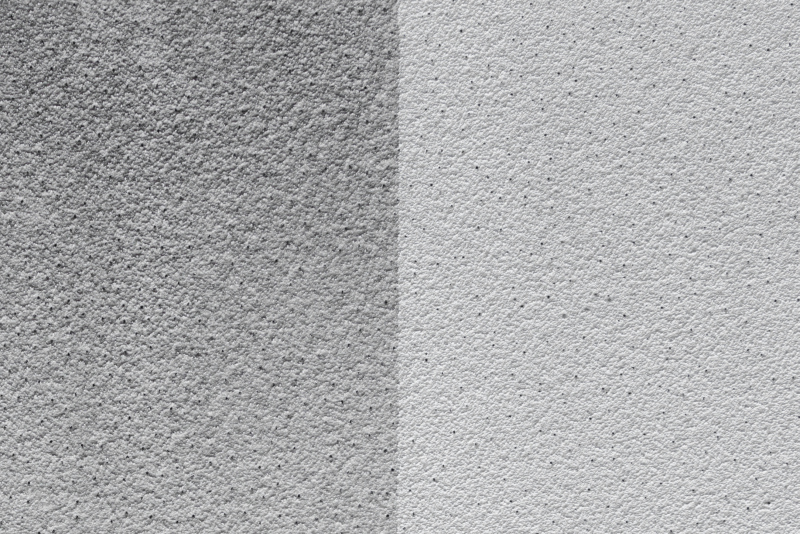 “In fact, cleaning and recoating commercial ceilings are on average 80% cheaper than replacing ceiling tiles, making it possible to maintain a top-rated facility while managing a tight maintenance budget,” he highlights. Bright Ceiling specialises in renewing commercial tiled ceilings whether they are dirty from airborne dirt accumulating over time, age, previous repairs or even water marks. The company can also replace chipped or broken tiles where necessary, as well as fix sagging ceiling structures. Since the tiles are treated in-situ, the entire ceiling is refreshed, including T-bars, grids and other fittings like air diffusers, which are typically left as is when ceiling tiles are replaced. According to Berman, the tiles and T-bars can be recoated in any colour. “We can also paint adjoining ceilings, bulkheads and walls at the same time,” he adds. Operating across the country, Bright Ceiling’s service applies to all types of acoustic tiles and grid systems including vinyl, ceramic and perforated metal tiles. Another benefit of treating the tiles while they remain in the ceiling structure is that it significantly reduces disruption, accidental damage to tiles and other fittings, as well as dust. “To avoid down-time and minimise disruptions to business operations, we also schedule work overnight or at weekends for spaces that are occupied during the week. What’s more, due to our highly competitive rates, we have never lost a job on price,” Berman states. 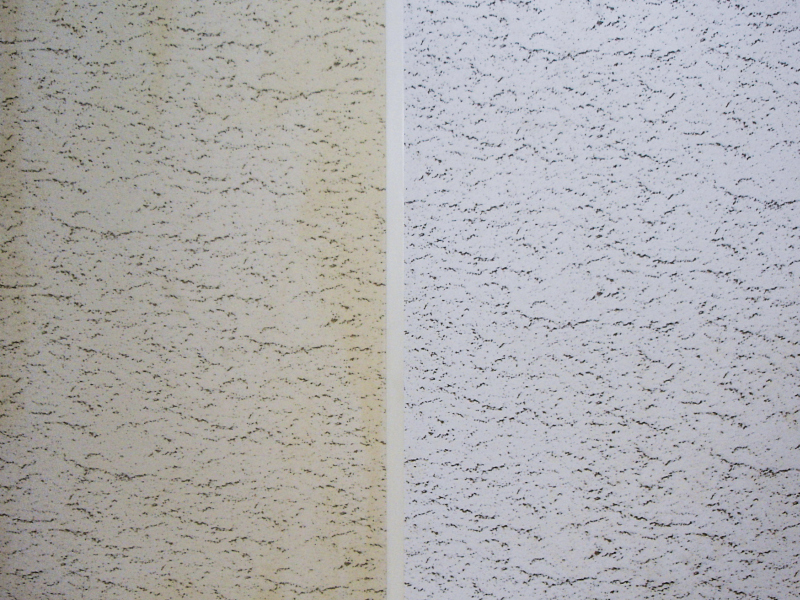 All the materials used by Bright Ceiling are domestically produced and all chemicals conform to local regulations. Contact Bright Ceiling for a free ceiling assessment or demonstration. Never let a handyman paint acoustic tiles or do it yourself. These tiles require specialist materials, experience and equipment. Once incorrectly painted, the damage can’t be undone. 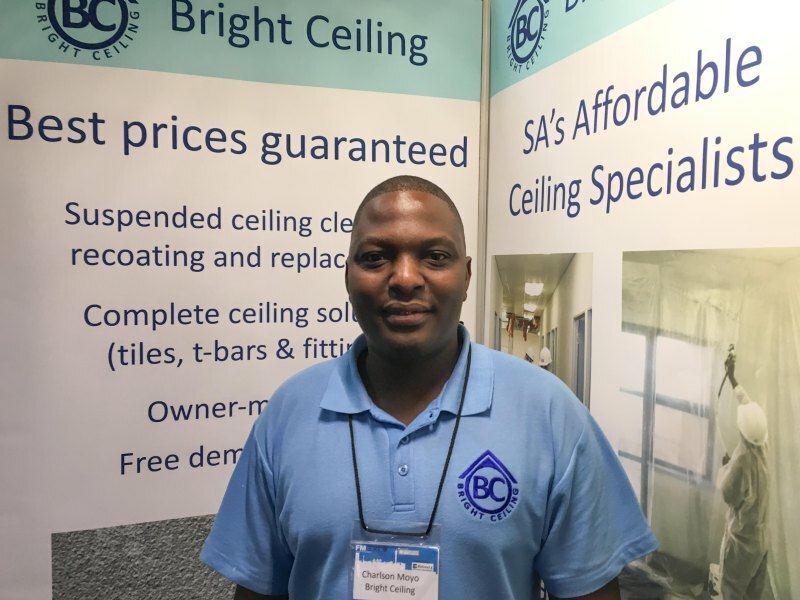 Caption main image: Charlson Moyo, co-founder of Bright Ceiling.